Amnesty International has attacked Italy's government over its ''repressive management of the migratory phenomenon'' and the ''erosion of the human rights of asylum seekers'." The NGO said the choices made by Premier Giuseppe Conte's government inflict ''further suffering'' on migrants. 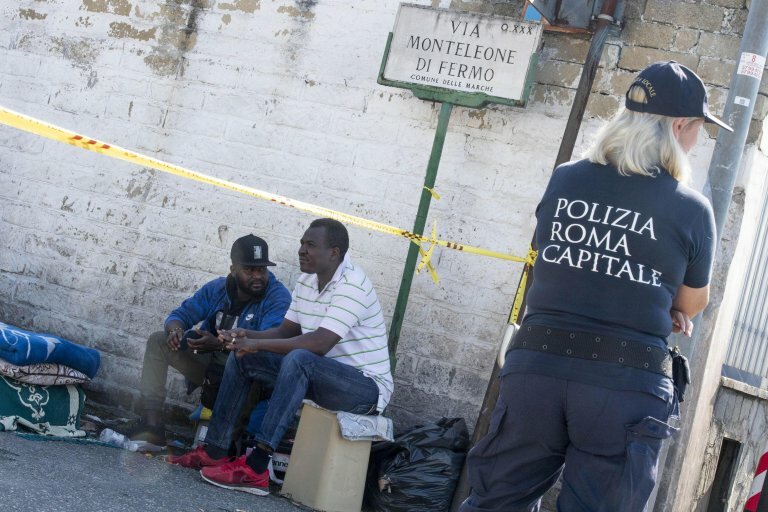 Amnesty International has criticized Italy for its treatment of asylum seekers and migrants in a report released on the 70th anniversary of the Universal Declaration of Human Rights. The report published on Monday lamented the ''erosion of the human rights of asylum seekers'' following the approval of the government's security-and-migration decree. It also complained about the ''xenophobic rhetoric of the political world'' and ''forced evictions without an alternative''.The report noted that Premier Giuseppe Conte's government had ''immediately distinguished itself for repressive management of the migratory phenomenon." ''The authorities have hampered and continue to hamper the landing in Italy of hundreds of people saved at sea, inflicting further suffering on them and undermining the overall functioning of the system of maritime search and rescue,'' it said. Speaking about the security decree, Amnesty stated that its measures ''gravely erode the human rights of asylum seekers and migrants and will have the effect of increasing the number of people in an irregular condition present in Italy." Amnesty International reported the ''massive use'' by some candidates and political parties of ''stereotypes and racist and xenophobic language to convey populist, sentiments [about national identity] during the electoral campaign'' this year. In 2018, forced evictions ''continued." They particularly targetted Roma families and groups of refugees and migrants, who were ''without adequate housing alternatives'' which should have been provided by the authorities. The president of Amnesty International Italia, Antonio Marchesi, stressed that ''for a while now, the stated objective of those governing Italy is not to let migrants near the Italian coasts and their ''chosen method is to entrust that role to Libya'." The Italian government's strategy ''made up of collaboration with Libya, closed ports and attacks on NGOS has been successful, it is necessary to recognize this'', said Amnesty. ''It has significantly reduced arrivals'' of migrants and refugees on Italy's coasts, although the other side of the coin is the ''huge human cost of this strategy'', stressed Marchesi. In violating human rights in Libya, ''Italy is an accomplice, not only morally but also in international law'', and continues to offer ''material help to those carrying out these violations," concluded Amnesty. Italy's Interior Minister and Deputy Premier Matteo Salvini, who has spearheaded the government's tough stance that has seen NGO ships with rescued migrants denied access to Italian ports, said he was not concerned about the Amnesty report. He said the security decree ''erodes the rights of criminals'' and not asylum seekers. ''Italy's doors are wide open and ports are open to the few who are really fleeing war, those who bring war to our home are going back." ''Drug-dealers, mafiosi, delinquents and illegal immigrants do not have asylum in my country,'' he said. ''My conscience is clean and I'm going to keep going."